The FTC recently completed its fifth national study on the accuracy and completeness of consumer credit reports. A credit report includes information on where you live, how you pay your bills, and whether you’ve been sued, or have filed for bankruptcy. Nationwide consumer reporting companies sell the information in your report to creditors, insurers, employers, and other businesses that use it to evaluate your applications for credit, insurance, employment, or renting a home. Looking Online for Your Valentine? A company that used fake news sites to push acai berry supplements and other weight loss products has agreed to settle FTC charges. The agency has already stopped others that used wanna-be news sites and phony testimonials from supposed reporters to push their products. The M.O. is to make people think the site — and the reporters — are part of legitimate and trusted news organizations, name-dropping CNN and Consumer Reports, among others, to add credibility. But the fact is the sites were ads, masquerading as news. Have you ever wanted to know what to do about a problem, but not wanted to read lots of information to get your answer? Sure, it might be interesting, but in that moment you just want to know what to do. 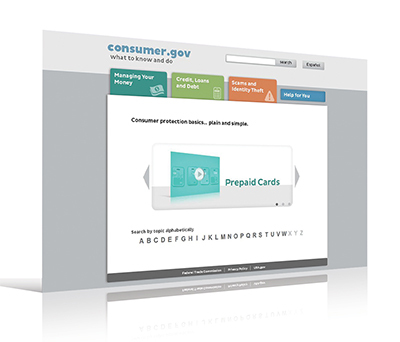 If your problem was a consumer protection issue, we may have your answer: consumer.gov. It’s a free new resource from the Federal Trade Commission that gives you the consumer protection facts, plain and simple. If you owe back taxes, you may be tempted to turn to companies that claim they can reduce or eliminate your tax debts and stop back-tax collection by applying for IRS hardship programs. The truth is that most people don’t qualify for the programs these fraudsters hawk, their companies don’t settle the tax debt, and in many cases they don’t even send the necessary paperwork to the IRS. The FTC recently settled a case against American Tax Relief, which bilked consumers out of more than $100 million by falsely claiming it could reduce their tax debts. Under the settlement, the scammers are banned from telemarketing and selling debt relief services, and must surrender more than $15 million in cash and assets to settle charges that they violated federal law. That’s a nice sentiment, but the FTC charged that what Path told people it was doing with their personal information didn’t jibe with what was going on behind the scenes. Robocall Challenge: Your Entries Are In! Last October, the FTC challenged innovators to create solutions to block those annoying — and illegal — robocalls. We’re happy to announce that we received 744 eligible submissions before the FTC Robocall Challenge closed on January 17, 2013. You can check out a brief description of each entry in the Challenge submission gallery. Way to go, innovators! Car Payments Taking Their Toll? Owning a car can be a big responsibility. And while you may have gotten up to speed on proper tire inflation and when to replace worn wiper blades, there are some other key things to know. For instance, if you took out a loan to buy your car, you don’t own the car until you pay off the loan. If you don’t pay, the lender can repossess the car. You might be tempted by companies that promise to lower your monthly car payments if you pay them a fee first. They might even claim they can help you stop the repossession process. Put on the brakes. Those promises usually are lies or half-truths from scammers who can’t possibly deliver.